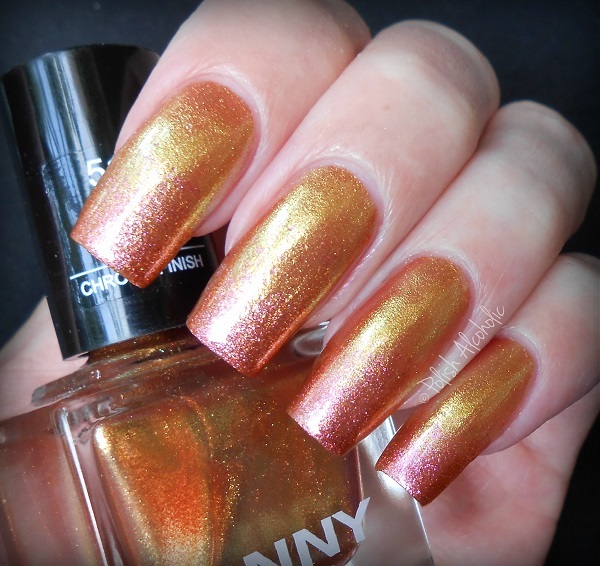 This entry was posted in ANNY and tagged 514, 517, anny, anny golden roller girls, duo chrome, golden roller girls collection, gradient, hot to handle, nagellack, nagellak, nail art, review, shimmer, swatches, wild at heart by Polish Alcoholic. Bookmark the permalink. Gorgeous mani. At first I thought it was one polish that had a color shift from gold to pink lol. Where are these sold?